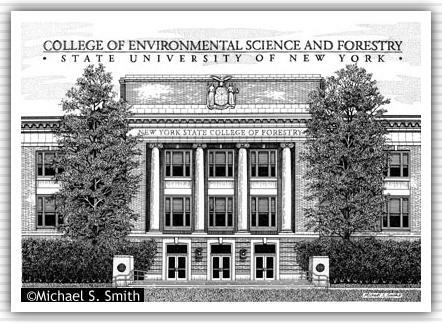 Founded in 1911, ESF is located adjacent to Syracuse University. Bray Hall, named for Dr. William Bray, the College's first Professor, was constructed in 1917. It served as the first building at the College of Forestry. Currently, it houses administrative and faculty offices as well as the office of the President.